The blue heron is seen throughout Florida. It is a gorgeous bird but tends to avoid people, and is often seen around a body of water. 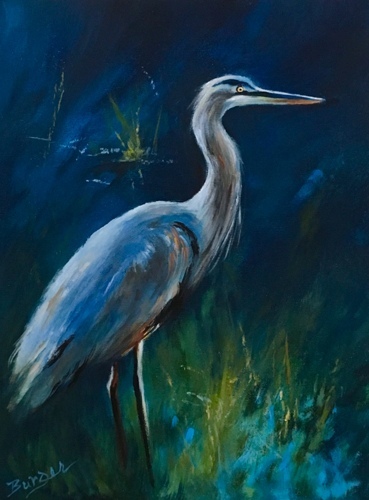 This 16" x 12" painting of a great blue heron on stretched canvas shows the majesty of these beautiful birds.